Excellent choice if you are looking for a dry season tire. Fast, stick like glue in corners, eat dry hills for breakfast and decent in mild to medium damp conditions. It didn't like the wet conditions, however it still worked like a tropper through some sloppy sections. Great rear tyre with excellent cornering and climbing abilities. Didn't miss a beat. Rollin' baby! What a difference a better-rolling knobby makes! Monorails are fairly light, have very predictable handling and great cornering. I have both Monorails on front and back wheel and, surprisingly, they seem to work very well at downhill parts, cornering, climbing, and rolling like no other tire I have tried before. I have done 3 2-hour rides on Lock 4 trail in Gallatin, TN on these tires and I am extremely impressed with the rolling ability combined with great grip, stability, and weight of these tires. As I have said, the knob spacing makes me a little worried to hit to rock garden like I used to on WTB Weirwolfes, but thats only important for some of the trails that I ride. 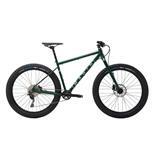 Overall, they are pricey, so hunt the web for good deals, however, they are worth every penny if you ride twisted singletrack on dry hardpack, wet roots, occasionally have to hit the pavement, leaves, and rocks. They seem to shake dirt slowly and will clog up, however, I don't ride much in mud; if you are like me - give them a shot. Also, as one reviewer has mentioned before, they are a lot more rounded once mounted on a bike than the picture shows. The knobs are also taller than they look on a picture. WTB Weirwolf (heavy and bad rolling, incredible traction particularly in cornering), Specialized FastTrack (light, good rolling, ok traction for my trails), Bontrager Jones XC (pretty bad), other Bontrager tires (not impressed with anything). Rolls extremely fast. Corners like it's on "rails." Works amazingly in dry,, hardpacked conditions. Super light. Don't expect to brake late with this tire in the rear. It will lockup and skid, but if you have good brake skill, this won't be a problem for you. Buy this tire and use it on the rear if you want a tire that will make you incredibly fast. It climbs like a bat out of hell and corners like it's on rails. I put this tire on my bike again recently and remembered how amazing it is. Don't buy it for downhill and super-aggressive all-mountain but if you want a low resistance tire with good cornering for your trail machine or technical XC race bike, this is your tire. Predictable grip, fast rolling, very direction responsive, easy mounting in ust. Punture free to date. Not popular, thats a bonus in my book! Perfect tire for summer trail riding. It's best quality is the way you point it, it goes, very responsive to what you do, like being on rails, hense the name i suppose? A little harsh on the scale. We ride rocky singletrack, mud, loosepack, and hardpack over here. All in one race sometimes. 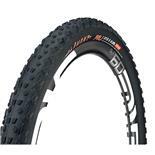 The monorail LUST sidewalls UST tyres are the best we've tried. They bounce off rocks, roots, are are just about indestructable. We have well over ten racers here riding these tyres annually. TT Larsen, Crossmax, Kenda Nevegal, block eight etc.. Washes out for me on the front end - no sharp edge to dig in. Lets go REAL fast in loose over hardpack. Skitters to the side on the back on loose corners - but this can be good at times! This review is for the 2.1 Exception, run with tubes. I got this tyre off eBay paired up with a 2.1 Rendez front. The Monorail is a rounder profiled tyre than most photos on the web suggest - it lacks the square edging knobs of the other 2.1 Maxxis XC tyres like the High Roller, the Rendez and the Crossmark. As such, when you hit loose stuff there's nothing holding an edge and it can just wash out all of a sudden. I do not like this tyre as a front tyre for my conditions - for strict hardpack it would likely be OK. On the rear the tyre rolls extremely fast, but given the light casing it is not much good in rough and rocky conditions, where it pinch flats easily. On sharp, loose corners the Monorail tends to drift out to the side a little - this is not all that bad as it helps the back of the bike come around for the corner. Climbing - if it's loose, unless you run low pressure and weight the back this tyre will break loose on steep climbs, but that's to be expected given the low, close and ramped tread. Mud - mud sticks like mad and does clear fast. I feel this is far better as a rear tyre than a front, paired up with something that has more side bite. 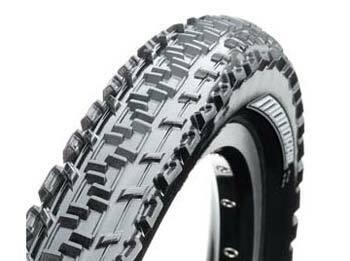 Good race tyre, good for smoother trails or for a bike that sees a bit of tar on the way to the trail. Rolls fast, holds an edge very well. Awesome for railing the flat corners! Not good for the mud, but not designed for this. If you want a mud tire, get a tire with some big lugs that rolls slow. This is a fast tire you can trust in the turns. Holds well on climbs. Good in hard pack and loose and pretty much everything but mud. Wears well - I don't know what some of the other reviewers are talking about: 'save it for race day??' I have had mine on for about 1000kms and in that time run races, 24hrs, downhill riding at Whistler. The tire has survived well I would say. It's getting tired now though and I'm getting another one. (I run it on the rear). Maxxis crossmark, Panaracer Fire XC Pro, Kenda small block eight, Specialized the captain. 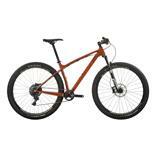 Almost as fast as the CrossMark but with predictable traction and cornering. Good in loose and hard-pack, handles rock & root climbing well. LUST sidewalls. Great race tire you can trust. A little on the heavy side (UST/LUST) but it will last the course of the race. I have shredded many a captain, washed out too often on the Crossmark, and ripped the casing all to often on the racing ralphs. 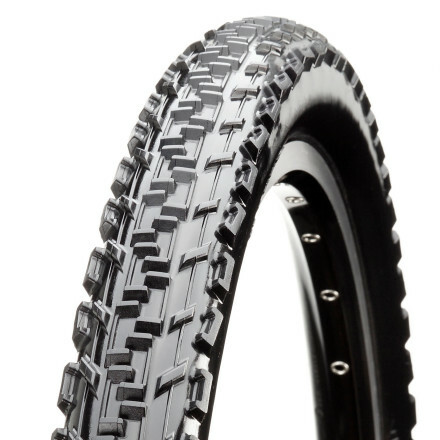 This tire seems to be the best in the middle, not the fastest (ralph/crossmark), not the greatest traction (mountain kings/captains) but this is right in the sweetspot in the middle. You can push it hard in the corners, and fly in the hard-pack, braking and climbing are also solid. 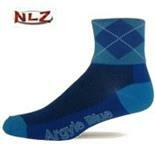 Net Net is this is a great racing tire when you want speed, control, and durability.